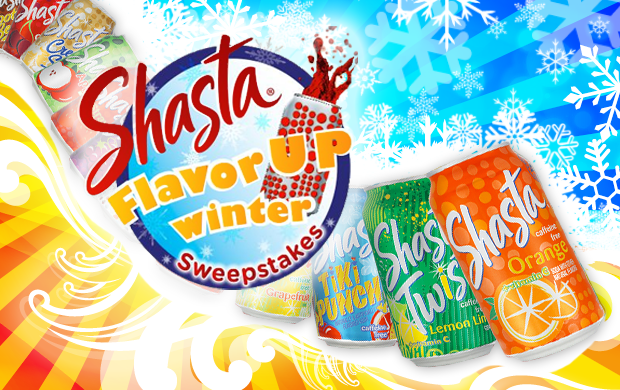 Shasta was looking for fun ways to support their winter 2013 campaign theme “Flavor & Fun” and highlight their wide variety of flavors, while driving traffic to retail partner locations Albertsons and Associated Foods in four key markets. In addition, Shasta wanted to increase “likes” of their Facebook page. Select local station homepages were taken over by Shasta, driving users to the Shasta Facebook page. In addition, select local radio stations and station personalities shared the promotion through their social media networks. Local radio stations also brought the “Flavor & Fun” direct to shoppers, setting up in Albertson’s and Associated Food locations with Shasta sampling, couponing, and prizes.